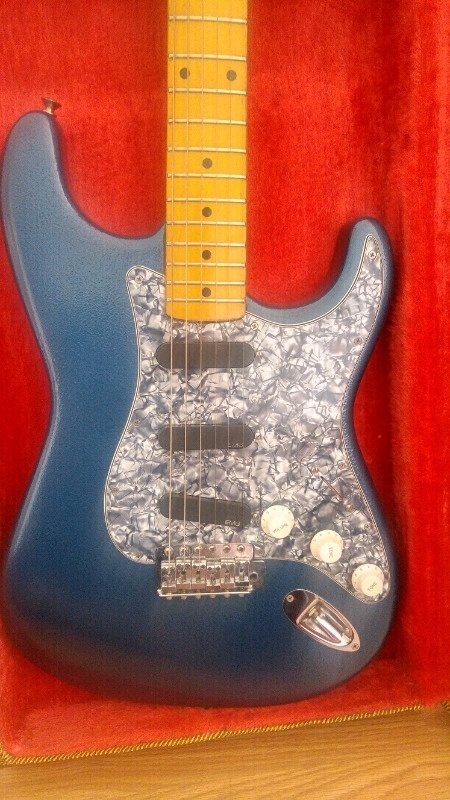 I'm looking for your opinions on a 1984 Tokai Goldstar Sound Strat that I may have the opportunity to purchase. First of all, I'd like to verify that it is indeed a Goldstar Sound of this vintage. The owner says that it was refinished by the previous owner, the machine heads and pickguard were replaced, and the pickups were replaced with what look to me like active EMGs. The guitar is said to be in good working order. Is there anything that I should look out for with this guitar, any other parts that appear to be non-original? The tweed case is also included, is there anyway to verify that it's the original case? 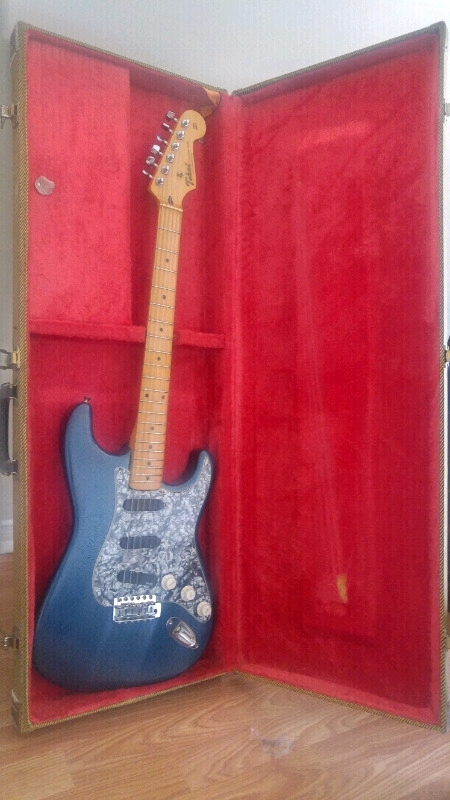 I've attached the photos that I have of the guitar. What do you think would be a good price to pay for this guitar? 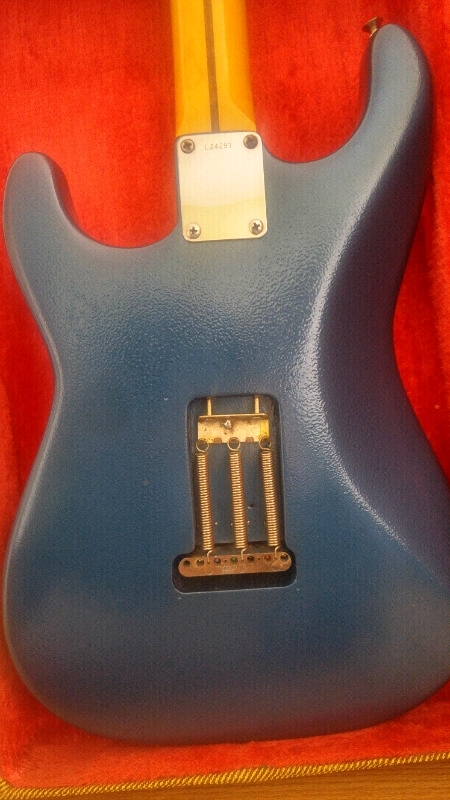 The refinish looks fairly mediocre to me which I imagine will drop the resale value, but i'm not sure buy how much. Keep in mind that i"m in Canada. Thanks in advance for your help, any info is apreciated! I don't see anything that to me proves the body is even a Tokai. If the emg's are active then where's the battery ?? I'm betting it's a partscaster until there's some real proof like some cavity shots. I'm in Canada and for that guitar as it stands with the case i wouldn't pay more than $300 CDN. Thanks for the response. That's a good question, my best guess would be that the battery is under the pickguard. 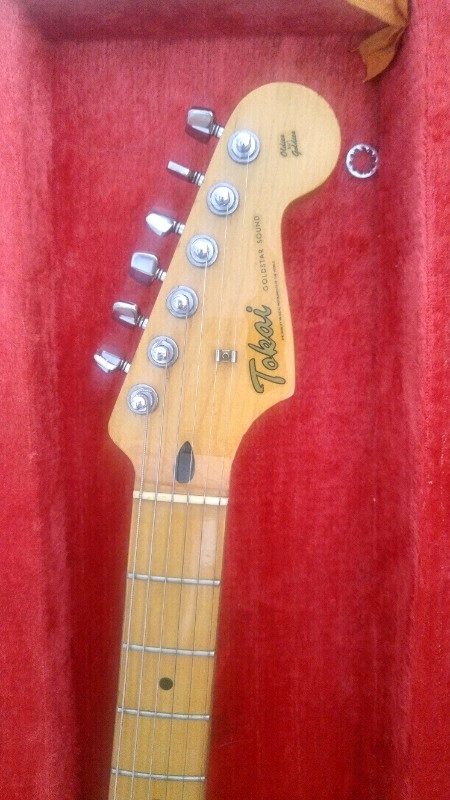 Would there be anyway to to verify the body is indeed a Tokai without cavity shots? I don't know anyway myself to tell about the body. Since its been refinished it's probably had the telltale codes painted over but at least you'd see the routing. I'd never buy any Strat without seeing whats under the hood, you never know what kind of extra home routing someone did or whatever. The body could be anything just about, or it could be what the seller says it is, but if i was selling a Strat i'd most certainly post pictures of anything a buyer might want, anyone who won't is probably trying to hide something IMO. 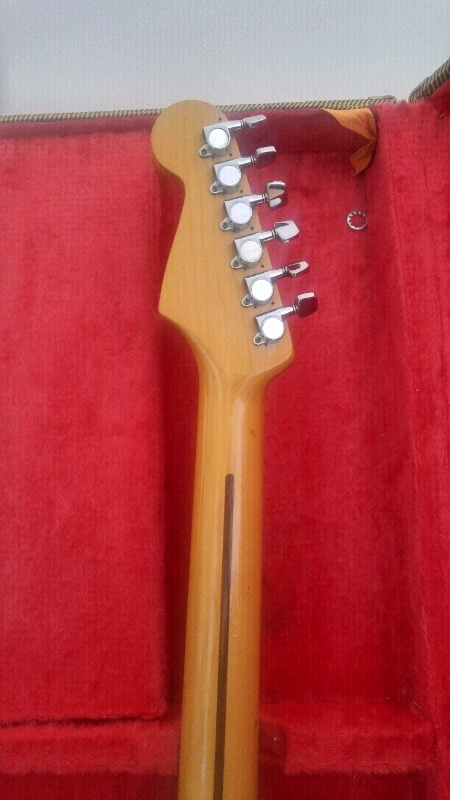 I'd guess the neck is from an ST40 as it looks like the tuners that were replaced were the rhombus type.